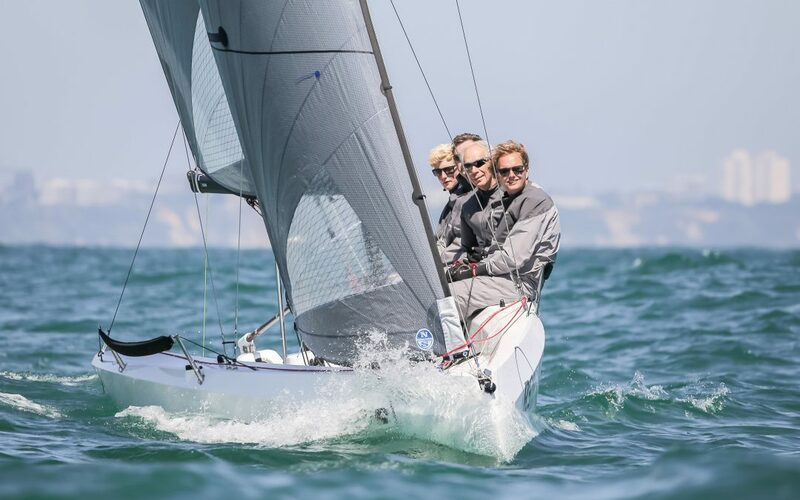 RS Sailing, a British company and currently the World’s largest manufacturer of small sailboats has designed the RS21, a new 21 foot keelboat. The official North American launch of this exciting new boat will be at the U.S. Sailboat Show in Annapolis, MD October 4th-8th, 2018. The design goal of the RS21 aligns with the overall mission of RS Sailing, to design boats for all levels of sailors in order to get more people on the water, and increase participation in the sport of sailing. The RS21 appears to be another sportboat, it is actually an entire new category of small keelboats. The progressive design allows for exciting sailing features in a well-balanced and user-friendly platform that someone can learn to sail in and professional sailors would be enjoy sailing. The progressive features include a 650 pound retractable keel which is nearly half the weight of the 1,400 pound boat, chined hull for easy planning, a custom built in Torqeedo electric sail-drive motor, and Carbon Fiber mast. RS Sailing is committed to sustainability, therefore the RS21 is produced with “Eco-Construction” including core materials made near entirely of recyclable materials and sustainable building techniques. Further reducing the carbon footprint is the electric engine and 6 boats will fit in a shipping container. The RS21 is ideal for Yacht Club and institutional fleets, One Design racing, Learn to sail programs, and any sailor looking for an accessible, affordable, and modern boat. The RS21 comes in two models, One Design with mylar main, jib, and asymmetrical spinnaker and Club model with a Dacron main and jib. The starting price is $34,950 landed at one of five North American distributors. Contact RS21na@rssailing.com for more information.